League football resumed after the 2nd World War in 1946-47 but clubs would wait a year until the British transfer record was broken again – and there was a new big spender, but a familiar pattern with a Scottish team sending their best player to England. Derby County had won the 1946 F.A. Cup and manager Stuart McMillan had some real talent on display at Wembley in Raich Carter, Peter Doherty and Dally Duncan among others. But Carter and Duncan were approaching veteran stage and Doherty was about to join Huddersfield Town after a single season at the Baseball Ground. Replacements were called for and one of the men targeted was the gifted BILLY STEEL of Morton. Steel had already been to England once. Born in Denny, Stirlingshire in 1923 he started out with junior teams Dunipace and Bo’ness in his homeland before being invited to join the Leicester City groundstaff as a 16-year-old. However the outbreak of war sent him back home and he signed for St Mirren as an amateur before turning pro with Morton. After the War had ended Steel served in the British Army of the Rhine and played for their football team visiting different countries on the continent alongside such notables as Matt Busby, Leslie Compton and Eddie Hapgood. 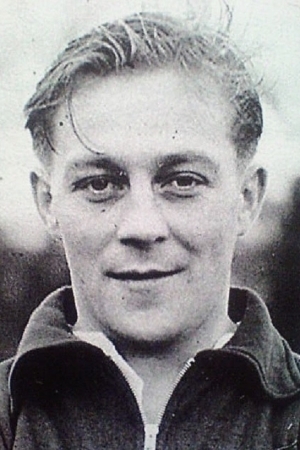 Such was Steel’s form during and after the war with Morton that he was chosen for the Scotland team that visited Wembley to play England in 1947. And such was his performance there that he was picked to play for Great Britain and the Rest of Europe within a month. In front of a 140,000+ crowd at Hampden Park, Steel took his place in a glittering forward line alongside Stanley Matthews, Wilf Mannion, Tommy Lawton and Billy Liddell. And he didn’t look out of place, scoring the goal of the game as the British team romped to a 6-1 win. Within another month Steel was a Derby County player after the club paid Morton £15,000 for his services. At the Baseball Ground, the Scot was seen as a replacement for the mercurial Peter Doherty. But he found it difficult to take the Irishman’s place. This was especially true in the dressing room where Doherty had been a much-loved presence whereas Steel, it seems, was resented by teammates for his extra-curricular activities (newspaper columns etc) which ensure him of a greater income than them. Derby finished 4th and 3rd in Steel’s first two seasons (he was top scorer in the second) and also reached an F.A. Cup semi-final. But they dropped down to mid-table in the 1949-50 as Steel’s form dipped. Part of the performance drop-off may have come from a move back to Scotland brought about by his wife’s homesickness. This meant that he would travel down to England on match days only which obviously lessened his impact on team matters and cast him as an outside in the Derby ranks. He was hankering after a move back to his homeland which he made clear when calling a press conference to announce it and the fact that he was training at Ibrox, and was a boyhood fan of the club made a move to Rangers look a foregone conclusion. So it came as no real surprise when he moved back north of the border, but Rangers were beaten to the punch when Dundee offered £23,500 for the ‘Pocket Dynamo’ as manager/owner George Anderson completed a transfer coup that stunned football. The fee Dundee paid was a record amount from a Scottish club. Of course it also far outstripped the £15,000 Derby had paid for him, although by then the British record had marched on. He left Derby having played 124 games for the club and gave them good service though there were those that said he reserved his best for the big occasion. Steel’s Dens Park debut saw an attendance 8,000 above average with many of them shouting themselves hoarse when he scored the opener. Steel’s time at the club saw him lead the club to consecutive Scottish League Cup wins along with an appearance in the Scottish Cup final. Steel also continued to represent his country and would earn a total of 30 caps, scoring 12 goals. He also earned a dubious distinction when in 1951 he became the first player sent off whilst playing for Scotland when he got his marching orders in a match against Austria which became known as ‘The Battle of Vienna’. Dundee fans of a certain age claim that Steel was the best player to play for the Dark Blues and he has a hospitality lounge at Dens Park named after him, but having spent four years with the club but in 1954 he called a press conference and shocked football by announcing that he was retiring, at just 31, and moving to America. The move was to the West coast where he managed the Los Angeles Danes football team and worked in advertising before passing away in 1982 aged 59.